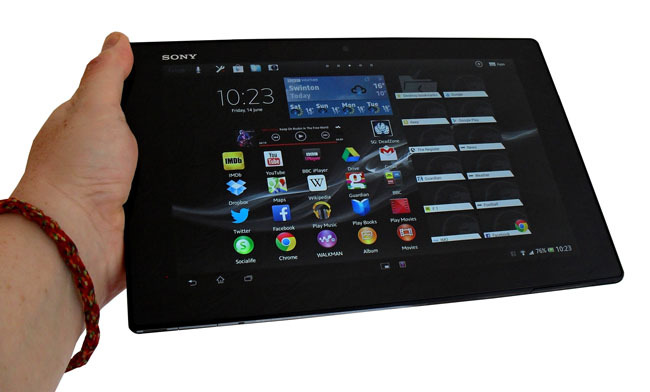 Review Not so long ago, Sony declared its aim to be the second most popular tablet vendor after Apple. More recently, that morphed into an ambition to sell the most mobile devices after Apple and Samsung. If both those targets are not to be consigned to the rubbish bin of ill-advised statements, Sony’s phones and tablets need to start getting better fast. Luckily for Sony they are. I don't rate the the Xperia Z phone quite as highly as many of my colleagues do, but it’s certainly not a bad old Hector and is selling strongly. The new Xperia SP is a device that certainly lit my fire. 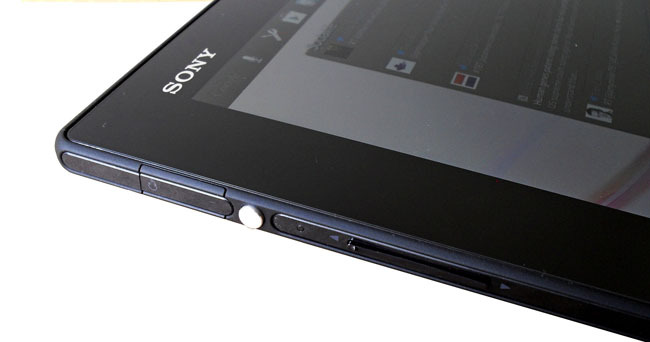 Now Sony has released a fondleslab counterpart to its latest Xperia phones, the Xperia Tablet Z. With the Tablet Z Sony thankfully hasn’t tried to reinvent the wheel so there are no strange wedge or clamshell form factors at play as was the case with past Sony slates. What the Tablet Z does offer is a very slim profile, a high definition screen and an impressive lack of weight. Thanks to the shared design language - called “OmniBalance” by Sony - it looks very much like an Xperia Z that’s been rolled flat. It even carries over the Z’s IP57 resistance to water and dust and its large aluminium power button. Available in 16 and 32GB flavours, the Tablet Z also packs a Micro SD slot which gives it an important edge over the Apple- and Nexus-badged competition, which don’t have one. Despite being only 7.2mm thick - that’s the official figure; according to my steel rule it’s closer to 6.5mm - and weighing 495g, the Tablet Z is very nearly as robust and solid as the iPad 4. Certainly the screen doesn’t take a mescaline trip when you try to twist it. There are some signs that tolerances are tight, though. Apply some serious torque to the body and sometimes an app or menu will launch, the screen clearly thinking it has been fiddled with. I’m not sure the IP57 certificate is strictly necessary. I don’t know about you, but I’d be inclined to take care of a tablet I’d just paid four hundred quid for. So using it in the bath, in the pouring rain or on a building site probably wouldn’t figure in my usage regime. But at least you can take it to the beach without worrying about beer or sand worming its way into its sensitive innards. The downside of the waterproofing is that all the ports, including the 3.5mm audio jack, have fiddly plug-in covers. Constantly opening and closing them can become a chore so you may want to consider buying the optional charging cradle which connects to the Tablet Z through a couple of contact pins. Another small annoyance is that the Micro SD and USB ports, and thus their covers, are at the bottom - hardly an ideal place for the charge socket full stop - out of sight and out of mind. I constantly found myself forgetting to close the USB port cover after charging. 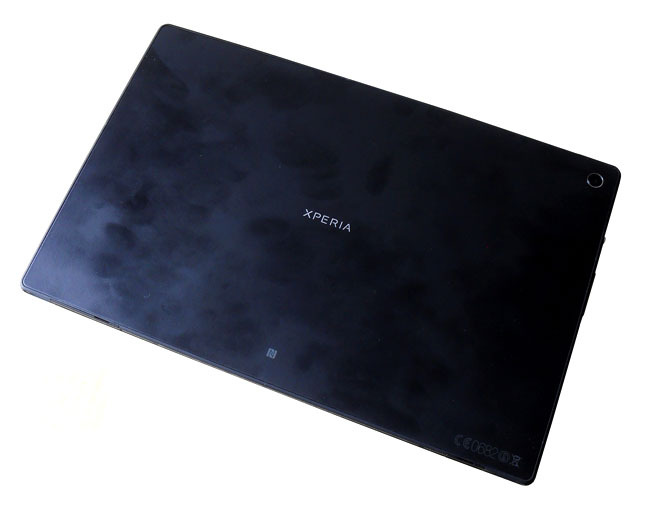 When I first saw pictures of the Tablet Z, I was slightly worried that it would have the same rather cold and clammy glass back as the Xperia Z but I needn't have fretted. The matte plastic rear is a much better idea and feels pleasant to the touch though it does show up fingerprints badly. Sony will sell you a handy multi-form carry case to keep your Z looking mint.